Below are some great Chicago summer camp offerings. All programs are day camps unless otherwise noted. My sister, Nathalie Ames, and I were fortunate to be among the 240,000 to have tickets to yesterday’s Inauguration. 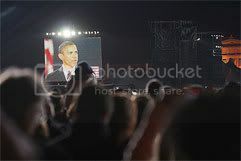 We were in the “Silver Section” which was located directly behind the reflecting pool. It was the furthest ticketed area from the stage and we shared it with tens of thousands of other people. It was quite a day. Here’s how things went. Chicago Agent magazine’s “Real Data 2009” was delivered today. This book is their annual compilation of local residential statistics including top brokerage offices and top-producing agents. 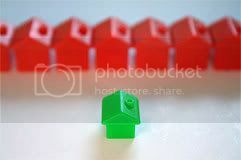 Their figures were taken from sales reported to Chicago’s Multiple Listing Service (MRED) from January through November 2008. Their stats are organized by county and include Cook, DuPage, Lake, McHenry, Kane and Will counties. As with the preceding year, the report for 2008 is a somber one for most agents, but for others, including me, there’s plenty of positive news as well. 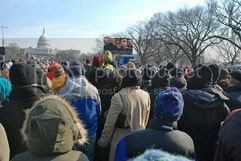 I have uploaded the photos I took of the people and atmosphere prior to the inauguration here in D.C. They include many colorfully dressed Obama supporters as well as the sites of the Capital being prepared for today’s festivities. 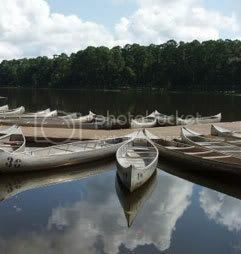 You can check them all out on my Flickr page. I’ll be adding more shots from the inauguration itself after the big event today. My trip to Washington D.C. is turning out to be a bipartisan affair. On Sunday evening, as Washington D.C. was filling-up with Obama supporters, I had the opportunity through a good college friend to join Bush’s White House team for a farewell bash. Attendees included several members of the cabinet including Secretary of State Condoleezza Rice. 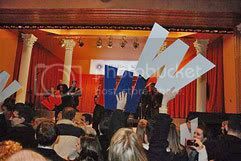 A very casual affair, the “Crossing the Finish Line” celebration was held in the Spanish Ballroom at Glen Echo Park. Like more than a few Chicagoans, today, I am not in the Windy City but rather 600 miles to the east in Washington, D.C. As you might have guessed – I’m here to see firsthand the inauguration of our 44th President, Chicago’s own Barack Obama. If you’ve read the news, you know that I am far from the only one to make such plans. 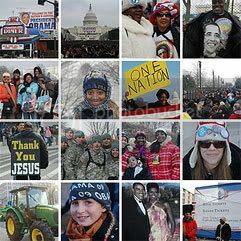 Thousands from Chicago and around the country have been cramming into trains, planes, and automobiles to come see Obama’s swearing in as well as attend countless parties, concerts, prayer services and other events. I really do love living in Chicago. There is so much good stuff here to stimulate your mind! In addition to world-class museums, Chicago has many outstanding art and antiques galleries. 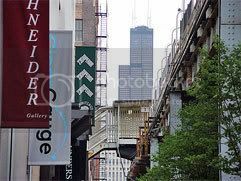 We are best known for the many galleries found in Chicago’s River North neighborhood. A former warehouse district just across the river from the Loop, River North is home to trendy residential condos and lofts, as well as the largest concentration of art galleries outside of Manhattan, Chicago’s Gallery District. 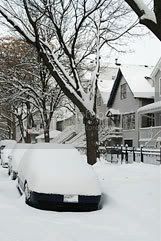 The snow has not let-up in the last 48 hours, at least not in Chicago’s Lakeview neighborhood where I live. Everything everywhere is covered in a pristine blanket of fluffy whiteness. The snow in our backyard is at least a foot deep. Hollywood could not have painted a prettier picture of winter in the Midwest. But don’t let the magic of the season lull you into thinking that everyone is on holiday. Today as I drove around Chicago’s north side showing homes to potential buyers, I noticed that the City’s parking enforcement division was hard at work dusting off meters to verify that they had not expired. 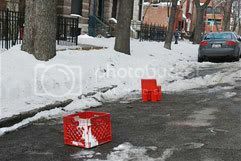 I saw one Parking Enforcement Aid (PEA) scrape the snow off a small portion of an offender’s windshield – creating just enough space to slap on a bright orange parking violation notice. If you were among the unlucky ones who received a citation, you might want to check out this informative blog about how to fight parking tickets. However, if you simply decided not to feed your snow-covered meter, you should probably just pay the ticket!